I love taxes which is a huge paradigm shift for me! I used to hate taxes so much that I used the tax code to reduce my taxes to zero. Yes, that is right, I paid zero taxes for a very long time legally! When you invest in assets, you can depreciate them and use depreciation to reduce your taxes. Is that the only way to reduce your taxes? No, learn what rich people do to lower their taxes. Why do I love taxes? Taxes are at the lowest rates right now and it is expected to stay that way. Just look at what Mitt Romney or Warren Buffett paid in taxes. Their effective tax rate was about 15%. A rate normally used for some of the lowest earning taxpayers. It is the rate for dividends and capital gains. How can you pay lower taxes? You have to change how you do things. First, you cannot be an employee. W-2 earnings (single, $8,500-34,500, married, $17,000-69,000) that qualify for such a low rate are modest, at best. As a wage earner, you pay other taxes such as Social Security and Medicare too. That’s right, you cannot be a wage earner! Investment income is treated differently. Investment income is treated better because it is needed to keep the economy growing. Congress treats investment income differently because it encourages investment. Lack of investment would dry up capital and materially affect the economy. How would you build a portfolio of assets that qualify for the lower capital gains tax rate? First, you would not be able to use tax deferred accounts like 401K/302B/457 or IRAs. Any withdrawal from these accounts in retirement is considered ordinary income. 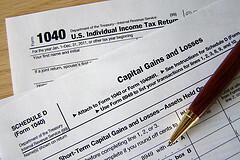 In order to qualify for capital gains tax rates, you have to use after tax money. Take that money and invest it in stocks, rental property, business, art, collectibles, or other assets that appreciate in value. I spent a lot of years investing in rental property where I could leverage my investment. I paid low interest rates on mortgages and had other people pay the mortgage. If that was not enough, they paid enough to provide a reasonable return on investment. When I decided to sell, I could use section 1031 of the Internal Revenue code to do a tax deferred exchange. It allowed the exchange of certain types of property and defer the recognition of capital gains due upon sale. To qualify the properties must be held for productive use in a trade or business or for investment. Stocks, bonds and personal property are specifically excluded. This is not intended to be a how to take advantage of section 1031 of the Internal Revenue tax code, however there are a variety of ways to take advantage of the tax code to build a lower tax portfolio. How else can you build a lower tax portfolio? Selling businesses that appreciate in value will be subject to a capital gains tax rate. That was the business of Mitt Romney! He bought businesses and built them up by investing capital. He made them more efficient or reduced expenses. Then he sold them and qualified for capital gains tax rates. Does this take Romney or Buffett kind of money to be able to do this? You can do this on a much smaller scale and qualify. Hedge funds do this on a large scale, but you need to have a pretty large net worth to qualify for that. What can the average guy do? Investing in assets has benefits! It is what rich people do! They like to see their money be productive and grow almost tax free or at a reduced rate. Another way to create a portfolio of assets that qualify for capital gains tax rates is setting up brokerage accounts. Yes, an ordinary stock brokerage account qualifies for capital gains. You are using after tax income to make an investment and as it grows, it is taxed at capital gains tax. You can buy stocks or mutual funds. If you hold the stock for a year or more, it is taxed at capital gains. Mutual funds declare dividends and capital gains quarterly/annually and you will pay your tax each year, however it is at capital gains tax rates. The most efficient way to take advantage of capital gains is to buy assets and hold for a year or more before you sell. These are assets that you own for a year or more, not inventory you have for sale in the normal course of business. For many of you this is a dramatic change in how you think. There is currently an exemption of capital gains for sale of your personal residence. If you sell your primary residence every five (5) years as long as it was your main residence for two (2) of the last five years, you can exclude $250,000 of the gain or a maximum of $500,000 for a joint return. This is not just for the super rich, but you have to change your thinking. Understanding the tax code helps, but it is not difficult. A lot of my fellow personal financial bloggers talk about building a dividend portfolio for the income. It also qualifies for the lower capital gains tax rates. I do not know about you, but I love to pay lower taxes. Remember, you receive the same services whether you pay Romney/Buffett taxes or more. It is up to you! I love taxes particularly capital gains taxes. I sometimes try to point out to people who complain about paying taxes that it’s actually a good problem to have, because it means that you’re making money. I’d rather make money and pay taxes than avoid paying taxes by not making money. I think the ultimate is have only all capital gains income. Some day I’ll get out of the employee space. Maybe then I can love taxes. Right now though, not so much. Even as an employee, I enjoyed capital gains tax treatment. You can invest in assets beside your home. I invested in income property when I was still an employee. Finding ways to reduce your tax burden definitely makes April 15 hurt a little less, but whether you are paying 15% or more, I find little pleasure in footing that bill. Perhaps, you should focus on thee amount you are earning. Taxes are never fun, but is still only a percentage of what you earn. The more you make, the more you can do something about the taxes you have to pay. I invest,ed in income proper56 (assets) which are taxes at capital gains.